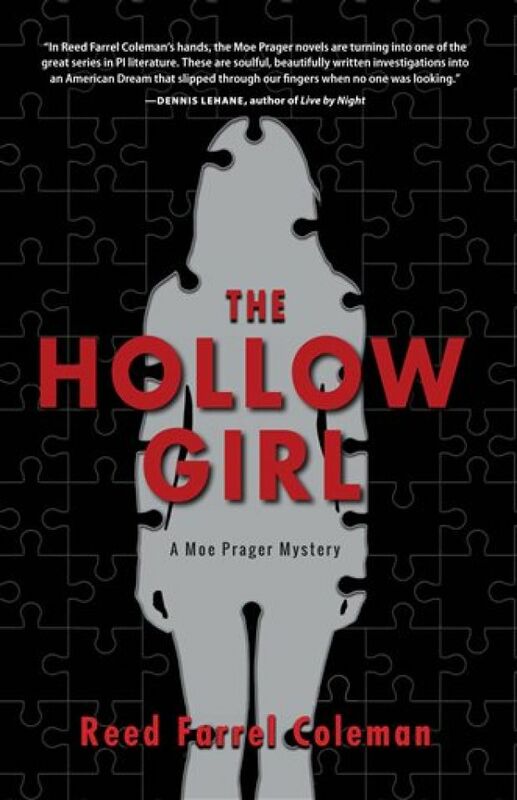 Reed Farrel Coleman says “The Hollow Girl” is his “final Moe Prager mystery, and the ending does make it appear that Moe has given up sleuthing for good. If so, the novel is a fitting conclusion to this intelligent, literary series by a fine writer who has made his reputation both as a mystery writer and a poet. You can read the entire text of my review for The Associated Press here. And you can learn more about Coleman and his fine work here. This entry was posted in Uncategorized and tagged Bruce DeSilva, Hollow Girl, Moe Prager, mystery, mystery writer, Reed Farrel Coleman. Bookmark the permalink.